A small tool I created while working on a side project. 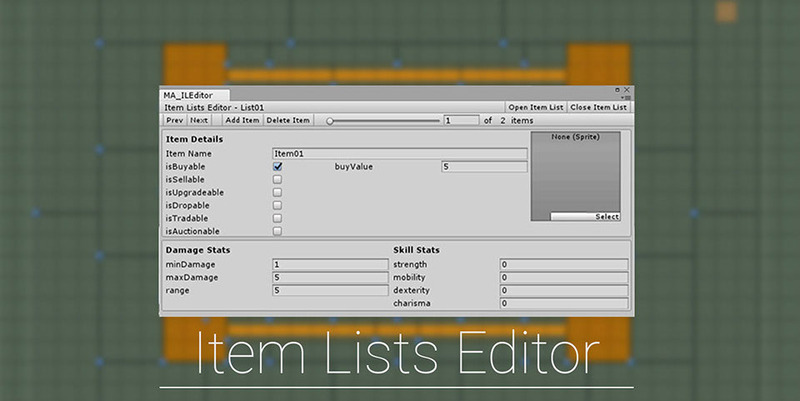 With this tool, you can create Item Lists and load them in game. This way you can have an organized workflow. You can use this for example as: To generate shop stores based on the loaded assets, generate player inventory’s, build loot systems or when an even is going on load an event Item List to make the assets available to your users. The Item Lists will be in one place (the Manager) and the load component will refer to it. This will prevent chaos and keeps the project clean.